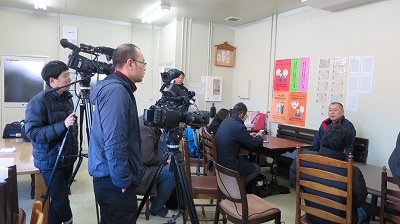 The FPCJ held a press tour to Ibaraki, ahead of the G20 Ministerial Meeting on Trade and the Digital Economy to be held in Tsukuba, Ibaraki in June 2019. 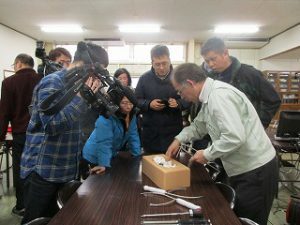 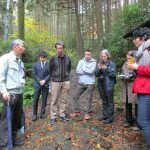 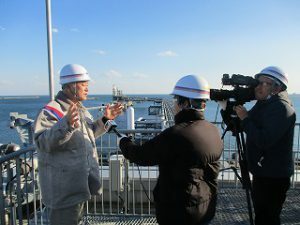 A total of ten journalists joined the tour, from China, Denmark, South Korea, and Vietnam, which covered the appeal of Ibaraki, a new gateway to the Greater Tokyo Area and a prefecture with one of the largest manufacturing industries in Japan. 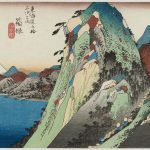 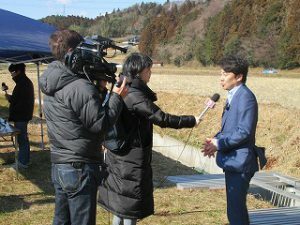 *This press tour was sponsored by the Promotion Council for the G20 Ibaraki Tsukuba Ministers Meeting on Trade and Digital Economy, and planned and operated by the FPCJ. 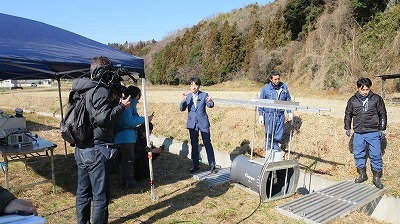 *Click here for further details on the tour. 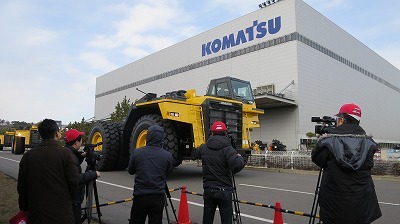 The Komatsu Ibaraki Plant is located next to the Port of Ibaraki’s Hitachinaka port district, with over 90% of the equipment produced there being for export. 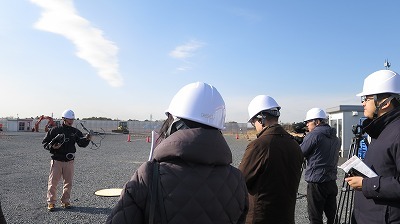 The tour visited the assembly plant, and also saw mining equipment being driven to the port for shipping. 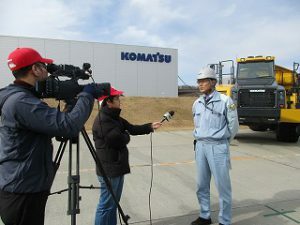 The journalists asked questions about Komatsu’s training system and the impact of the trade war between China and the US. 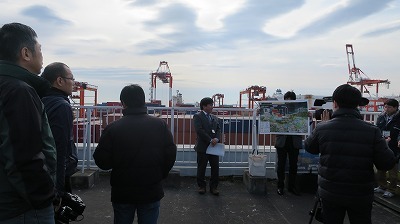 After an explanation of the importance of the Hitachinaka port district as a shipping center, the tour saw the stockyard where large construction equipment was waiting to be loaded onto ships. 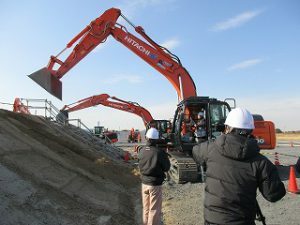 GLIT was formed by 10 local businesses which had been subcontractors for Hitachi, Ltd., and now continue to create unique products. 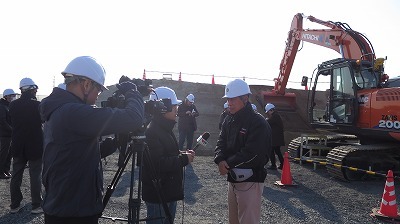 GLIT President Toru Matsuki stated, “Running a business was difficult when only dealing with Hitachi. 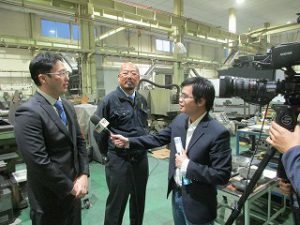 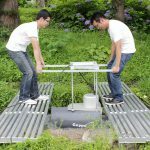 We wanted to find more customers and do a variety of work.” The journalists from South Korea and China mentioned that GLIT’s concept could be helpful in their countries, which are facing the problem of deindustrialization, and asked questions about carrying out projects, differences in technical capabilities with large manufacturers, and dealing with labor shortages. 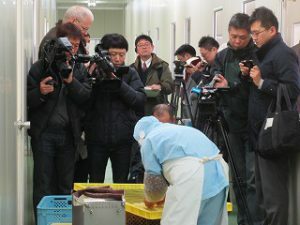 The tour visited a processing plant for hoshi-imo (dried potato), a local specialty of Ibaraki (Ibaraki has 90% of the national market share). 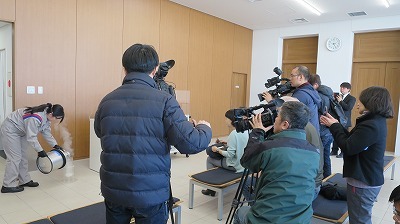 President Katsuhiro Terunuma explained that a World Hoshi-imo Contest would be held in Ibaraki in 2020, following the previous contest in 2016, and said, “With interest in healthy living increasing globally, hoshi-imo will likely increase in popularity around the world as a nutritious, natural food product.” The journalists asked questions about the impact of the increasing age of agricultural workers on hoshi-imo production, and why Ibaraki is the number one producer of hoshi-imo in Japan. 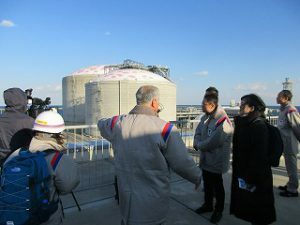 After receiving an overview of the terminal, the journalists saw experiments demonstrating liquid natural gas’s cleanliness, safety, and coldness. 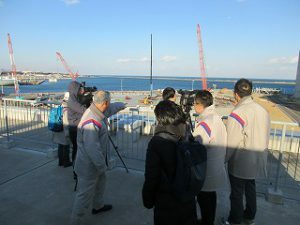 Despite strong winds, the tour then saw the large pier for ships transporting LNG and one of the largest aboveground LNG storage tanks in the world. 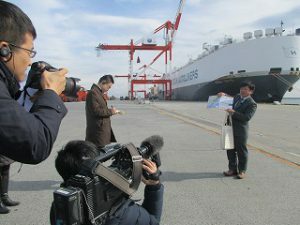 The journalists asked questions about the amount the LNG tank could supply, and the goal of Tokyo Gas’s plan to create a gas pipeline loop in the Greater Tokyo Area.